The road from Shegar to Choezom village is the main road to Mt Everest Base Camp in Tibet and it crosses over the Gyawu la pass (5200m). 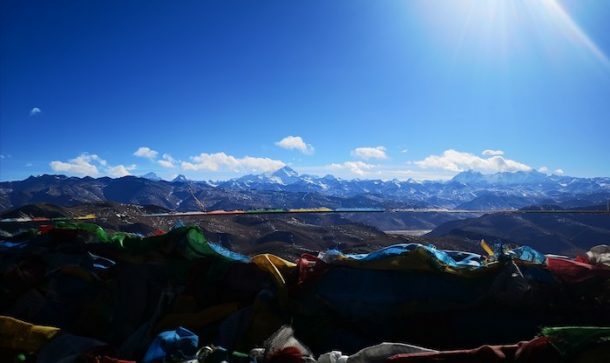 According to the Tingri county Traffic Police and Mt Everest Natural Reserve Administration, the region had a heavy snowfall on Feb 8th around 15:00 and part of the road have very low visibility, so the road to Mt Everest Base Camp was announced to close for tourist from 19:00 on Feb 8th. There is no clear information on when it will reopen and it only depends on the regional weather condition. The closure was made by concerning on the safety issue of the tourists as in the past tourist were trapped at the Everest Base Camp because of an overnight snowfall, and it took few days to clear the road. 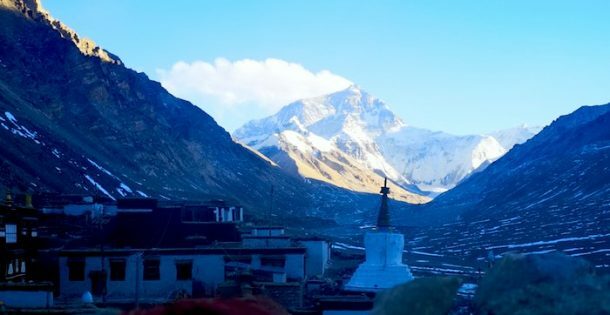 According to the Tibet travel experts at Explore Tibet, the road will take at least a week long to clear and probably it will reopen for tourist after Feb 15th, if you are planning for Tibet Everest Base Camp Tours, then it is important to realter the itinerary and avoid visiting EBC during these days. For more latest Everest Base Camp tours and travel information, please contact our Tibet travel expert at Sales@exploretibet.com.